PERFECT FAVORS FOR MY DAUGHTERS 12th BIRTHDAY!! I couldn't be more satisfied with my purchase of custom colored, personalized fortune cookies. We ordered the pink with raspberry flavor.. Everyone loved them!! 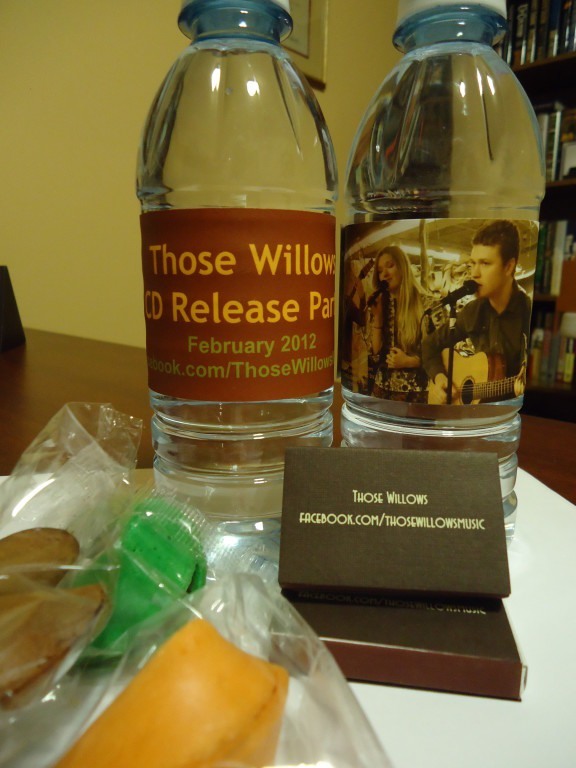 No better way to say "thank you" than a personalized treat! I'd order them again!! Everyone loved the uniqueness of the cookie and enjoyed the flavor! The order came exactly when promised! Purchases as gift bag stuffer for child's birthday party. Cute and fun. Kids loved the personalized message. I used the colorful fortune cookies as a welcome back to school gift. This was very fun and different for my fifth grade students. I was able to personalized the fortunes to fit the need. 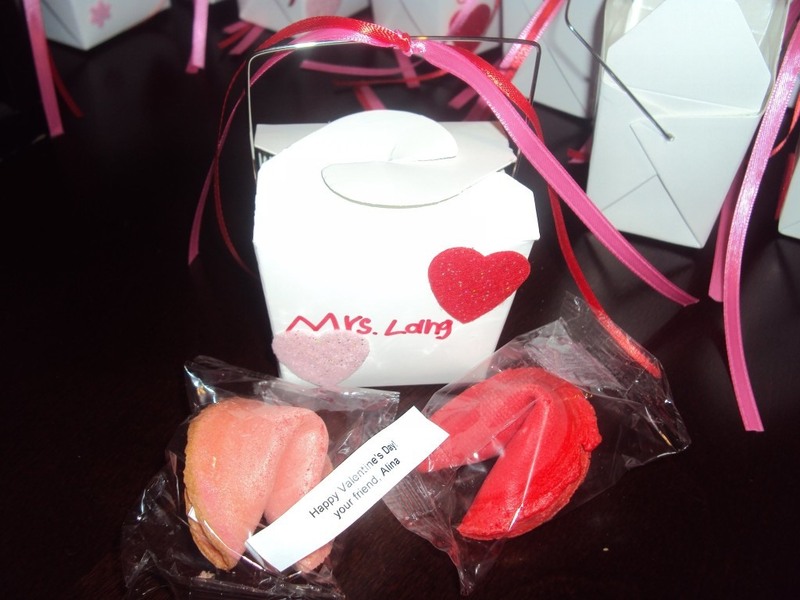 The students loved getting fortune cookies and wondered if I made them myself and how I got those fortunes in there! The color blue matched our school colors, too! I ordered blue (blueberry flavor) and yellow (lemon flavor) for my son's graduation party. The flavors are terrific and very real tasting. The cute fortune inside congratulated my son on his graduation. 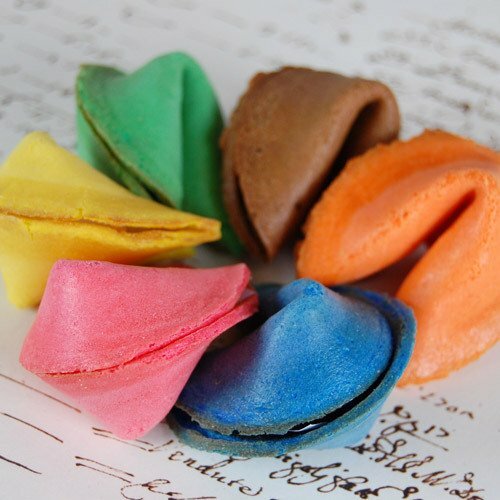 These were a huge hit since no one had ever seen nor tasted colored/flavored fortune cookies before! Good idea for all sorts of parties or get together. Loved that I could pick my message and color! Using it at a festival as a small prize for a game. 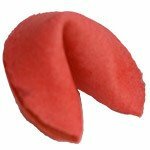 Who doesn't love a fortune cookie! We bought our cookies and had a personalized message stating: You will do well at the ___ State finals. Purchased 1/2 pint metal wire Chinese takeout boxes and put a label with daughter's picture and name/title, and the message on the label reads WISHING YOU GOOD FORTUNE. 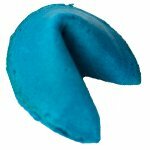 Ordered cookie in the color blue representing our pageant's main color. Flavored it lemon. Tongues did temporarily turn blue. This was such a fun and unqiue souvenier gift. I used these for my daughter's valentine's day party at school. They turned out GREAT & so tasty!!! All the kids loved them and not a single kid had anything like it. I would definitely recommend these to anyone for all occasions. Q:Is each fortune three lines? And can I order two or three colours in one order, or does it have to be each colour in a different order? A:Ingredients for main batter – flour, sugar, eggs, soybean oil and water. Multiple colors can be purchased in the same order, you would just need to add them into your cart separately. 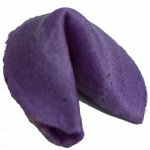 Q:What are the dimensions of this custom color fortune cookie? 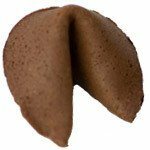 A:Each fortune cookie is roughly 2" x 1.5". The shelf life for this item is 3 months. We recommend delivery of the products 2 weeks prior to the event date to ensure freshness of the cookies. Lucky in life? 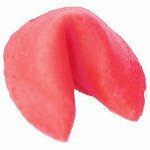 Celebrate your good fortune with these custom color fortune cookies. Give these fun and flavorful treats as party favors. These unique cookie favors come in vibrant hues including blue, brown, green, natural, orange, lavender, pink, red and yellow. Pick a color to match your party colors and choose by flavor: blueberry, chocolate, coconut, lemon, lime, orange, raspberry and original. Please note that chocolate flavored cookies are only available in brown. 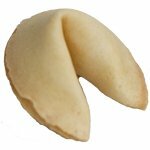 Once you've made your selection, personalize the paper fortunes with up to three lines of custom text. Cookies arrive individually wrapped in cellophane and stay fresh for up to three months. Fortunately, we have many more fortune favors to choose from! 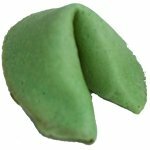 Take a look at our custom dipped fortune cookies.